1. Do you have a name for your unit? 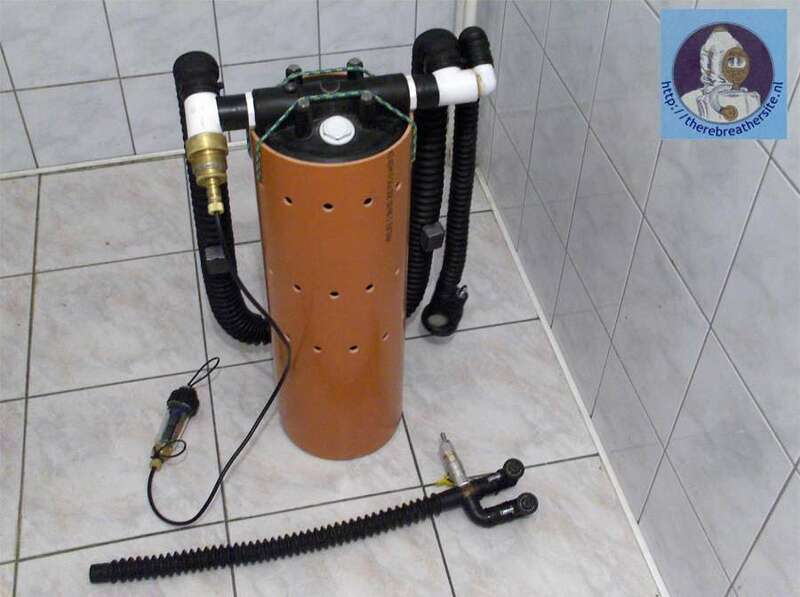 1.I come from Poland maybe Polish Rebreather is good name. 2. On the pictures I see a purple counterlung and a blue counterlung, is the purple one inside the blue one? 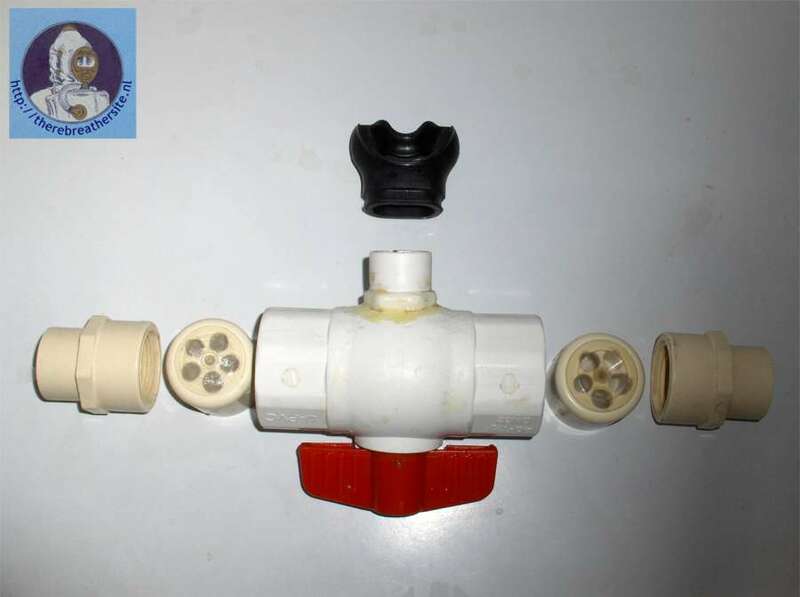 2.There is only one counterlung made from a gymmnastic ball (very strong and flexible - made by Johnson - not have bad smell, and suitable for oxygen). 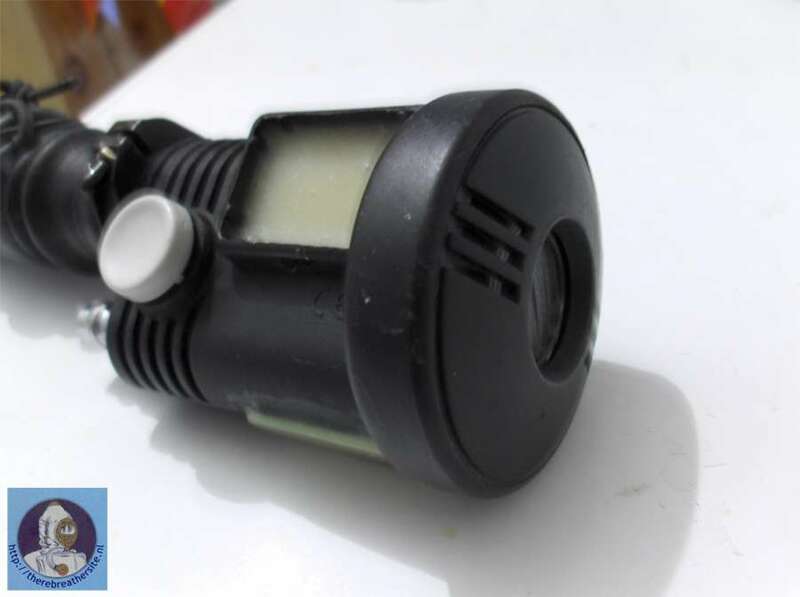 The size is bigger then normal, but it helps to control the buoyancy and makes breathing resistant lower. 3. 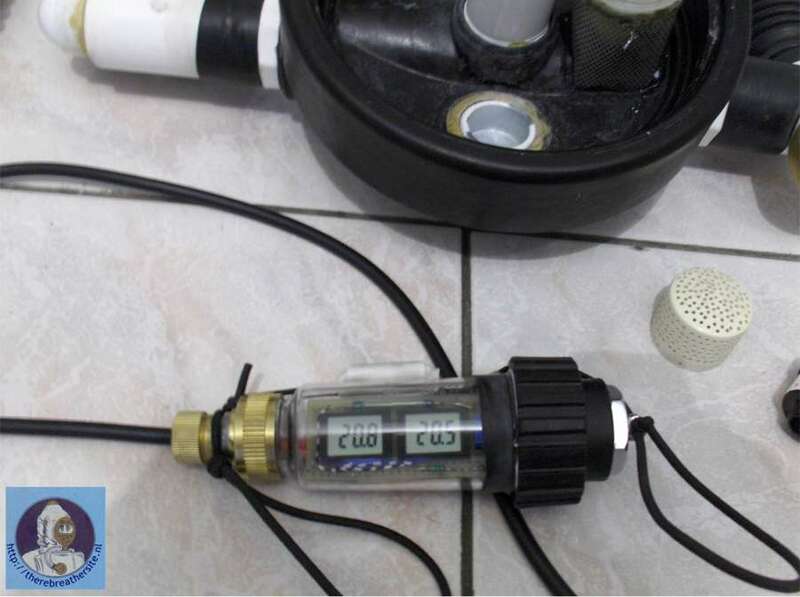 The counterlung seems to be underneath the scrubber is that correct? 3.Yes. The counterlung must be under or on the same level as the divers lungs because the breathing muscles are stronger to expire than to inspire gas. 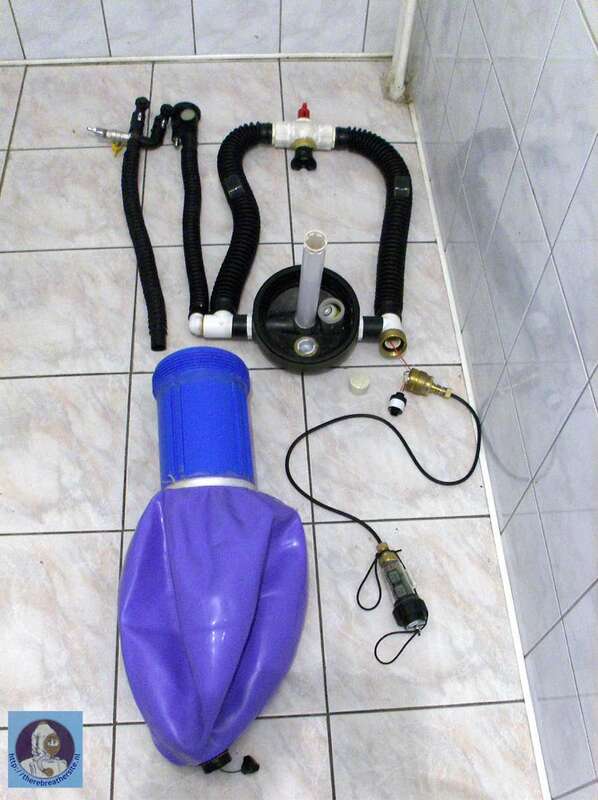 Many rebreathers have counterlungs under only Dolphin Draeger, Kiss and Sentinel are different. My design is similar to the RB80. 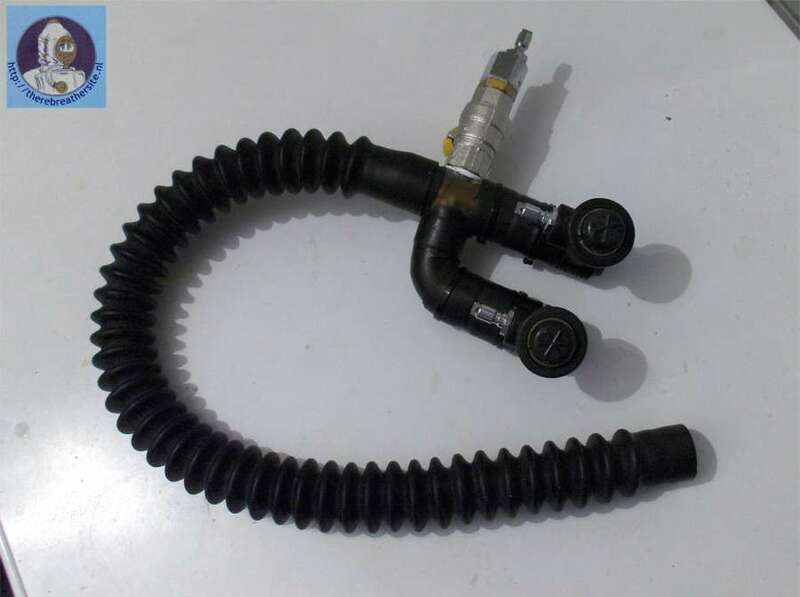 In my rebreather breathing resistance is better than in the RB80 because the counterlung is bigger and moves in every position and does not only move up an down. Is difficult tp breath with head down but I never dive in that position. 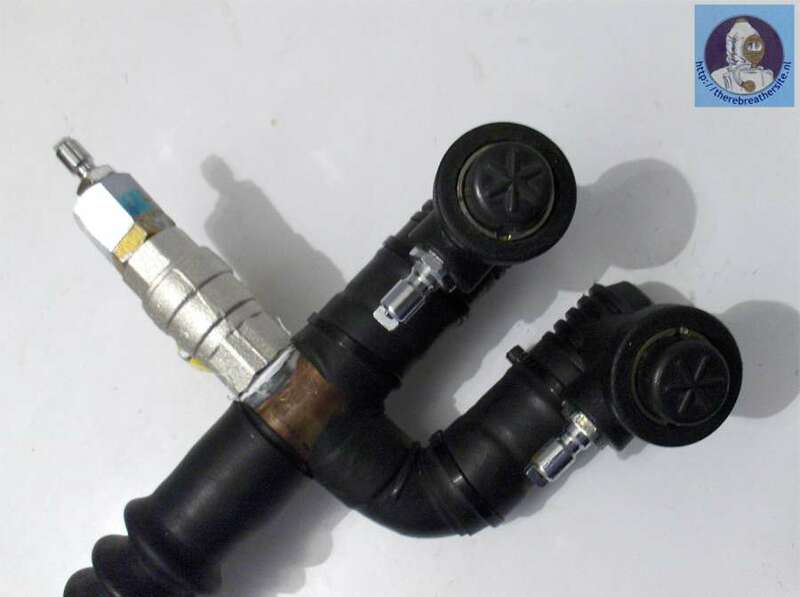 This position of counterlung makes the diver who uses the rebreather not dive like a "sea horse". 4. 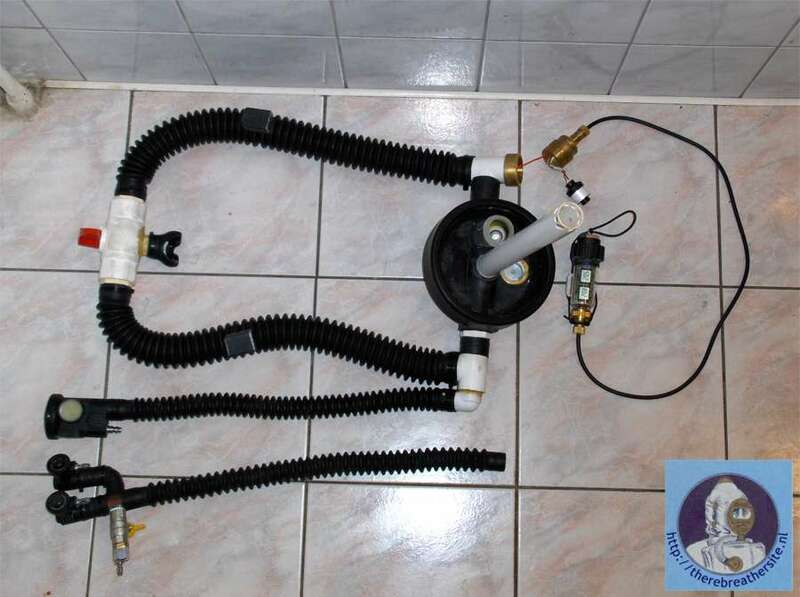 Could you explain a little more about the gasflow path..? 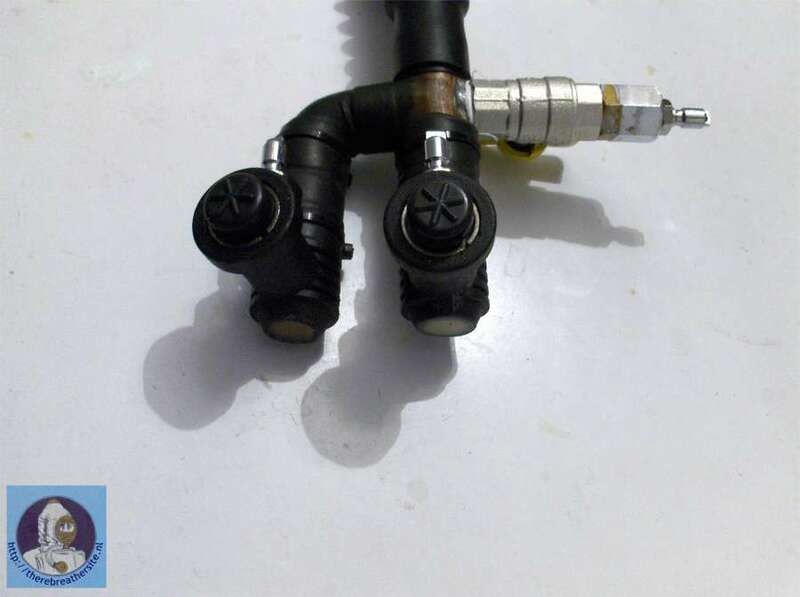 4.Gasflow - I use inflator connectors (see photo) to change gasflow. 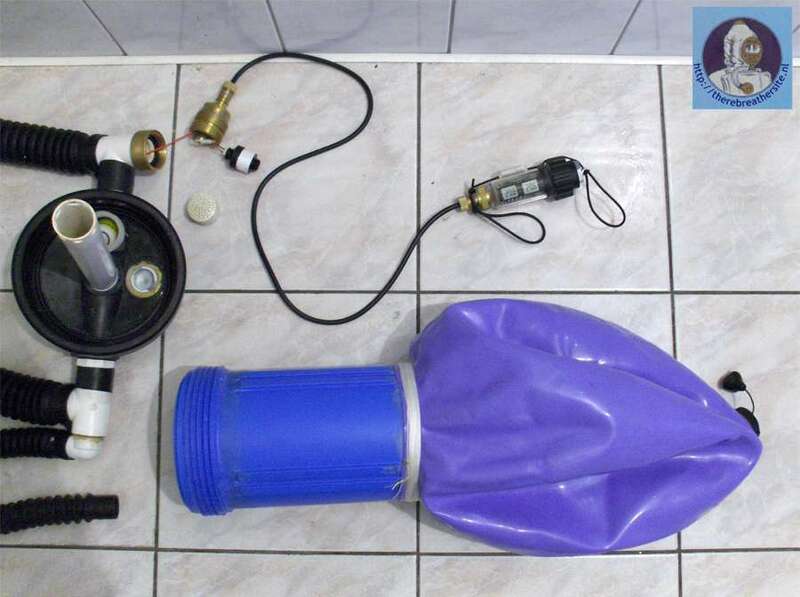 I have put a part from a car carburator inside the inflator to get the correct gasflow. 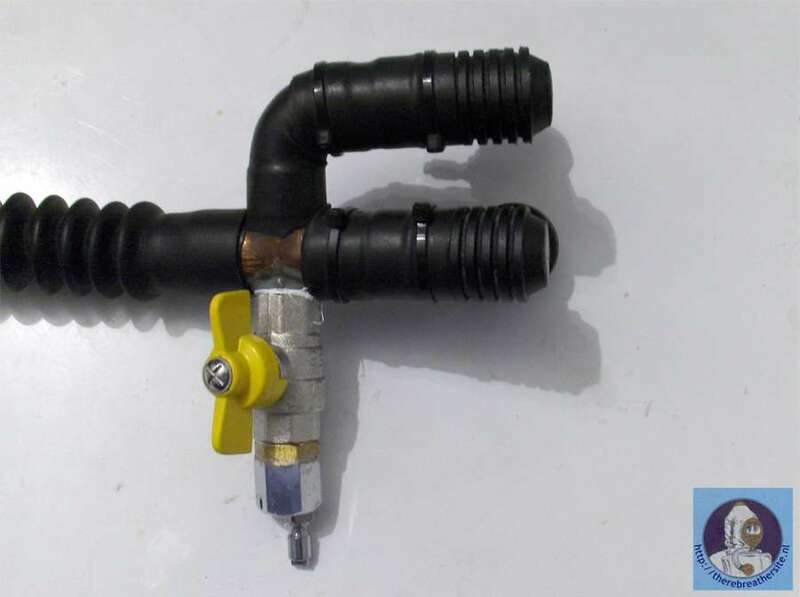 In CCR unit I have two gasses (diluent and oxygen - via carburator part) connected to two valves and injection of oxygen. 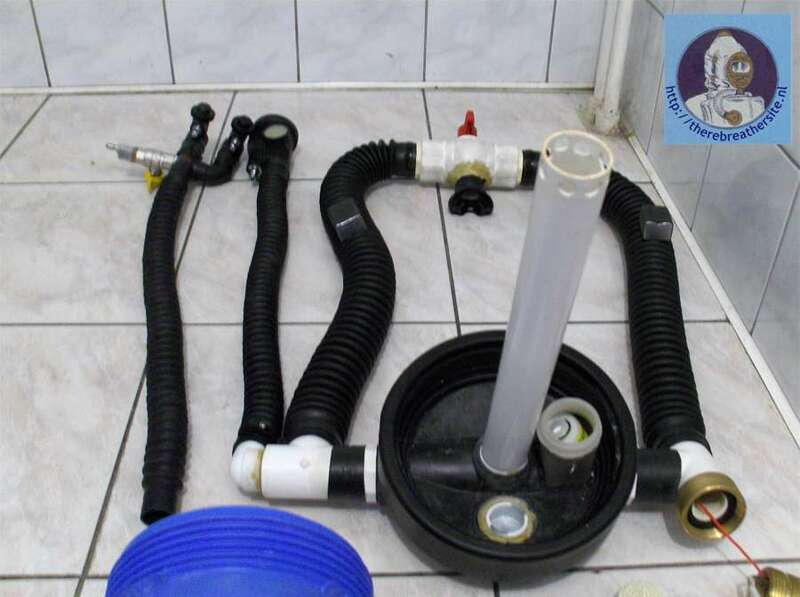 All gases are added to the loop via the "inflator" hose. 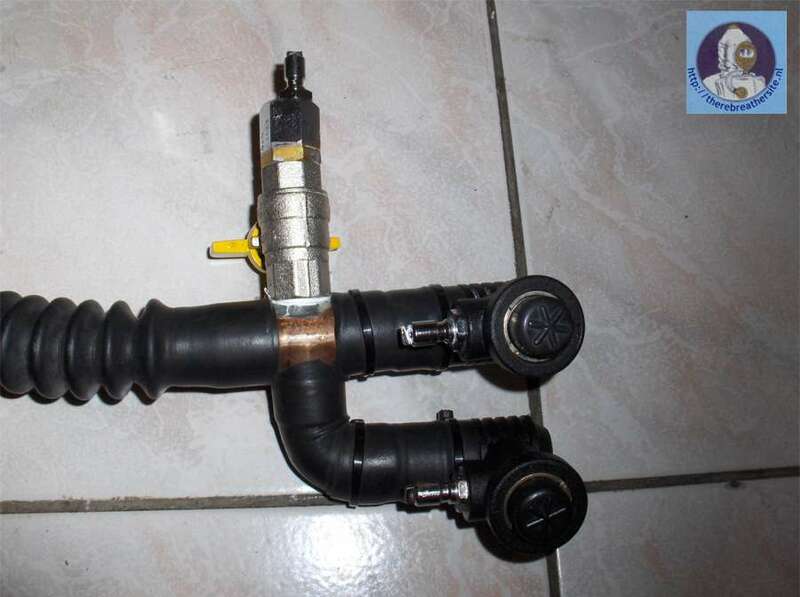 In SCR modus the unit part from carburator is also inside unit. 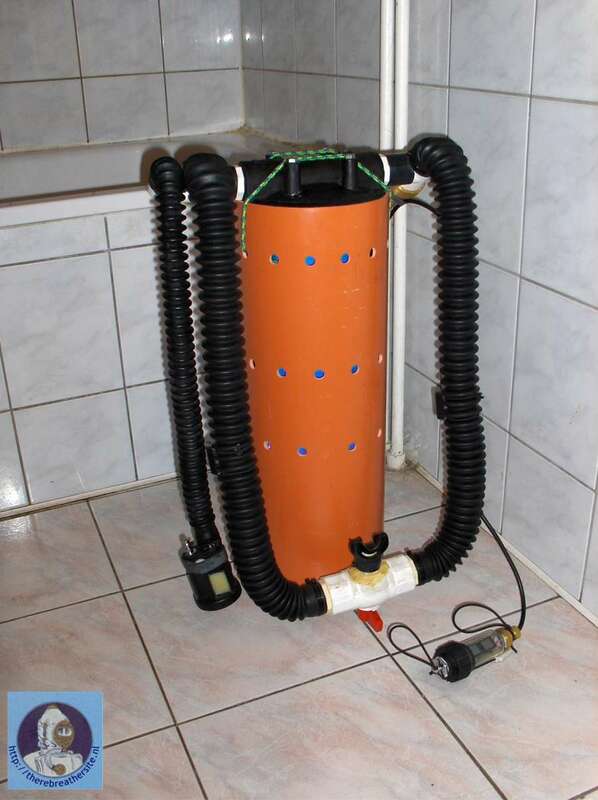 Changing gases in SCR is possible by connected gas to SCR - "Air 2" unit. 5. You seem to have a double display, do you also have two oxygen cells? 5. 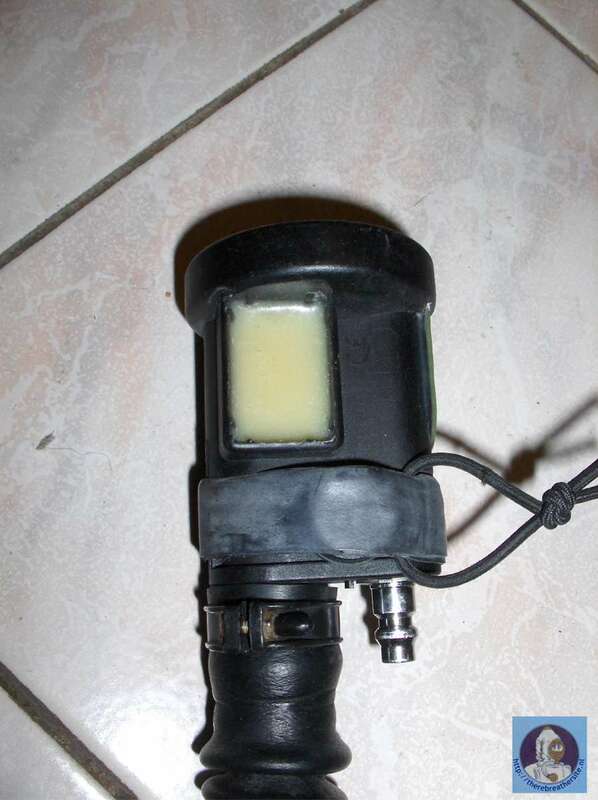 Yes I have 2 oxygen sensors , one inside and the secound in the metal part shown on the photo. It is even possible to use 3 sensors. I also have an external unit that can be connected to the loop. If You have anymore questions please don't hesitate to ask! You find my email and web on the end of this page! Beware! 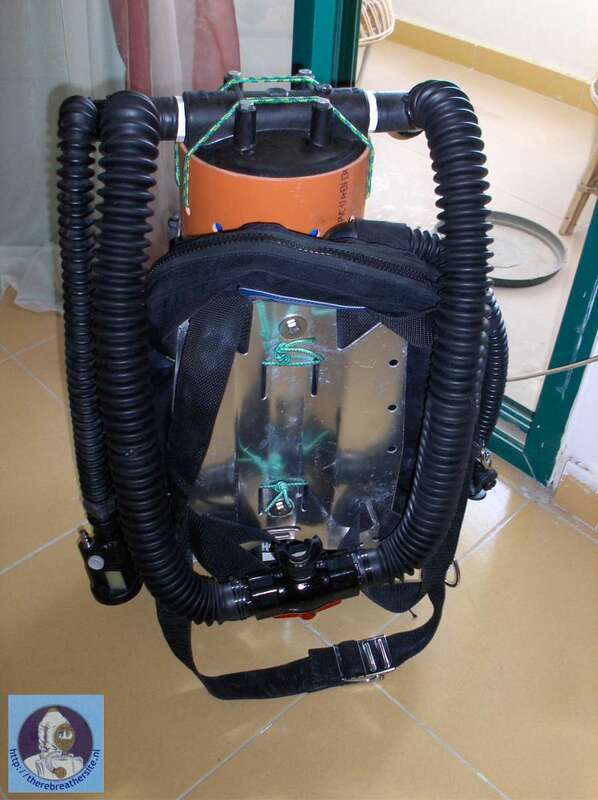 Homebuild rebreathers can kill! Please read the disclaimer! 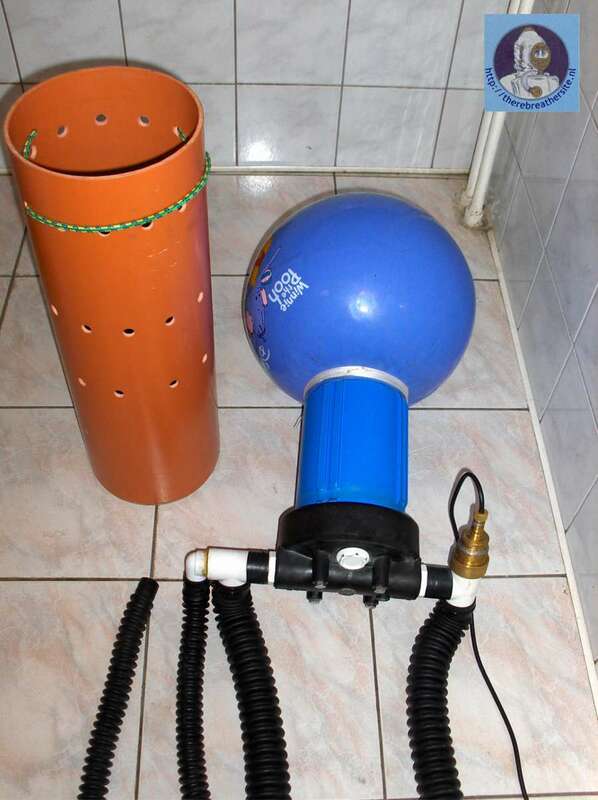 Tomas Stas is a Padi and Iantd instructor from Poland who works in Hurghada Egypt. 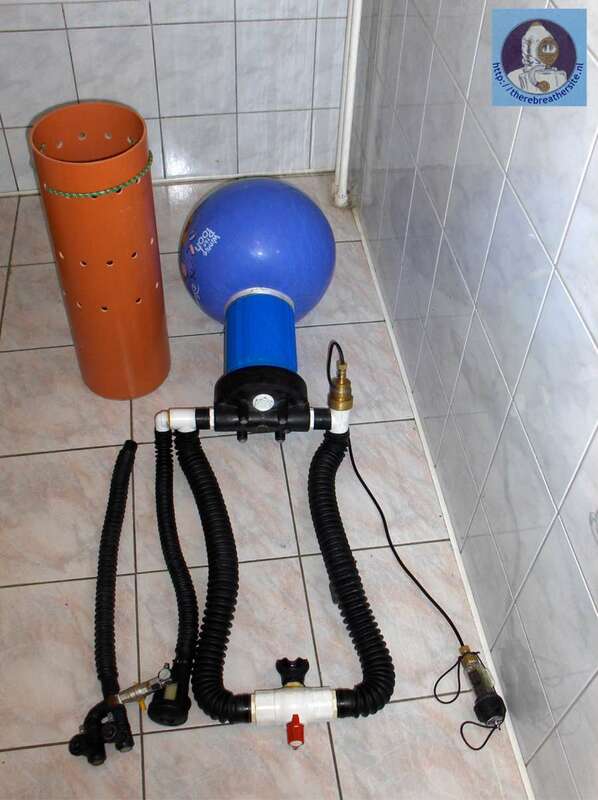 Last winter he made his Polish Kiss style CC rebreather. 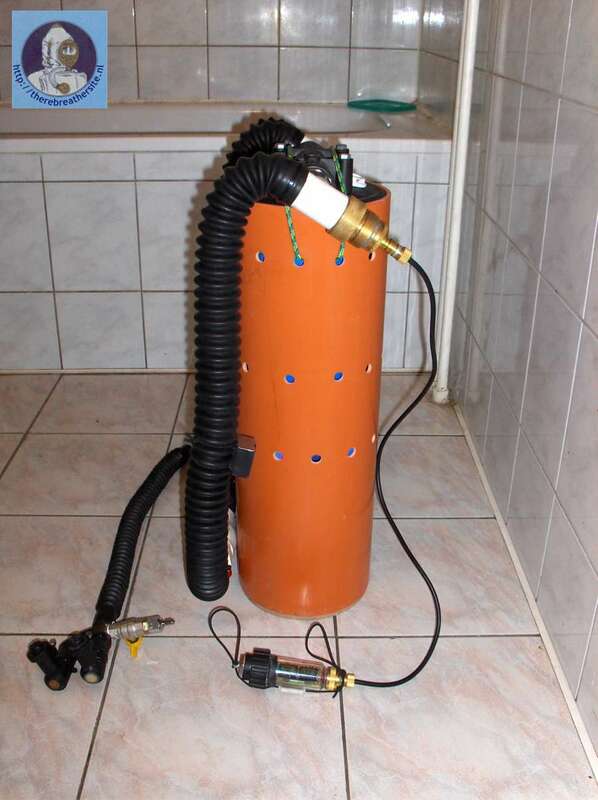 The rebreather can also be used as SCR. Here you find additional information! Tomas, thanks for sharing this info with us!